If you followed Sips at all, you know that Thursday night is work on the website night (read: partake in some wonderful American craft beers) for Rich and I. We try as often as we can to get together and after a hiatus last week, are schedules matched to review a few beers last night. For about the third time in two months, I am catching a cold, so I thought that last night’s tastings would be a wash. 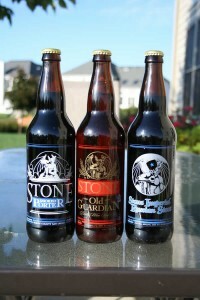 I limited myself to not much more than a couple of ounces of each beer: just enough to review. Luckily my sniffer was not blocked so the aroma of the beers came through big and bold. I had three beers to choose from for the write up: Three Floyds Lord Admiral Nelson, Bell’s Batch 10000, and Olde Hickory Hickory Stick Stout. I decided to take the high road, writing about the beer that I liked best from the group: Lord Admiral Nelson. To be honest, I didn’t rate Batch 10000 last night, just didn’t have it in me. Lord Admiral Nelson is a season that is somewhat hard to get and I only live an hour from the brewery. I decided it was time to crack this one open and see what the fuss was all about. A nice pour is quickly followed by juicy, fruity, and floral hops that draw you into the beer, not wanting let go once they have attained your attention. Malt is sweet and toasted. The hops, even though seemingly big, do not over power nor lend any extended bitterness to the after taste. Just a really solid beer all the way around. Enjoy! Exactly two months from today!!!! Nothing all that great, in terms of this post, but it is getting closer and the anticipation continues to grow. 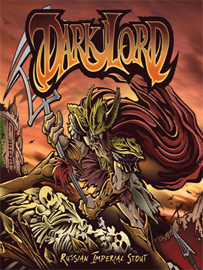 Follow the updates for Dark Lord Day 2010 on Three Flyods dedicated site: http://www.darklordday.com. They will be announcing golden tickets sales via twitter first. Not a bad way to drum up some followers. The only question that remains in my head: how early will I be leaving my home to make the one hour trek over to Munster, IN? Damn early. Enjoy!